Description: The sprint backlog is a list of the tasks required for a scrum team to create potentially shippable functionality to accomplish a sprint goal. 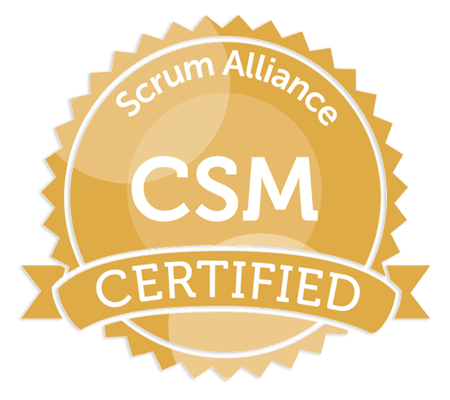 The sprint backlog is one of the three scrum artifacts, and it exposes progress of the sprint. The development team owns the sprint backlog and determines which product backlog items are included to accomplish the sprint goal. The development team defines the tasks required to turn each sprint backlog item into working, potentially shippable functionality. The product owner establishes the sprint goal and provides clarification to the development team as they create the sprint backlog. The scrum master facilitates creation of the sprint backlog during sprint planning, and also facilitates interactions and removes impediments during execution of the sprint backlog in the sprint. When: Created during sprint planning, and updated continuously throughout the sprint. Here is our one-week sprint template. Each of the areas labeled are explained in detail below. Replace the terms in brackets to reflect the specifics of your project. The sprint goal is an overall description of the goal for the sprint, stated in terms of functionality the customer will have at the end of the sprint that is potentially shippable. These cells determine the total number of hours available in the sprint (represented by the red line in the burndown chart). The burndown chart graphically shows the development team's progress. Hours remaining are displayed on the left vertical axis. Story points remaining are displayed on the right vertical axis. X-axis refers to the day of the sprint. The blue line tracks the actual burndown of hours as the developers update remaining time to complete each task at the end of each day. Ideally, the blue line snakes around the red line. Blue line above the red line indicates behind schedule. Blue line below the red line indicates ahead of schedule. The green line displays the burndown of story points as sprint backlog items are accepted by the product owner. E. List of user stories, estimates, tasks and responsible developers for each task. Here, we have each user story title with its corresponding tasks under each user story. Story point estimates are in column B, and the name of the developer working on each task is in column C.
At the end of each day, development team members enter the remaining hours for the tasks they are working on in the column for the following day, until the task's remaining hours are zero. When all remaining hours for the tasks of each user story are 0, the “Done” column displays “Y” to signal the product owner to accept or reject it. These rows provide the calculations to generate the burndown chart. Impediments are listed here and the scrum master makes sure they get removed.